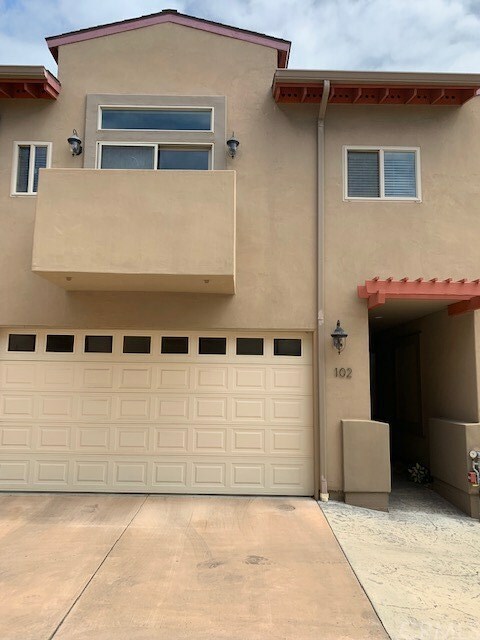 Built in 2007 This unit has a great design close to downtown Pismo but very private area. Turn key unit with two bedrooms upstairs that have their own bathrooms. The Bedroom downstairs has a Powder room. Travertine floors throughout the high walking areas. Stainless steel appliances throughout the kitchen and granite countertops. The white cabinets in the kitchen really light up the room. 2 car garage for easy parking. Small Dog run behind unit . Very easy maintenance. Also a short cut path that takes you to the overpass and a quick walk to downtown... A must see ... Location location location.